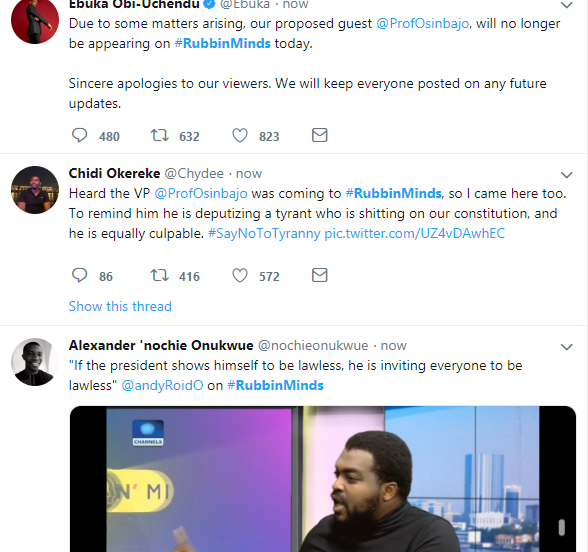 Nigerians have taken to Twitter, to react to Vice President Yemi Osinbajo canceling his interview with Ebuka on Rubbin Minds today. 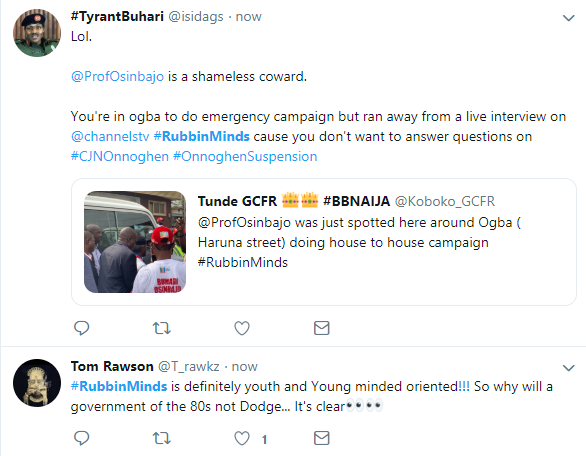 The cancellation announcement was made by Laolu Akande, a spokesperson for Mr Osinbajo, who in his tweet on Sunday afternoon disclosed that his boss will not be appearing on Channels Television‘s ‘Rubbin’ Minds’ because of campaign exigencies. 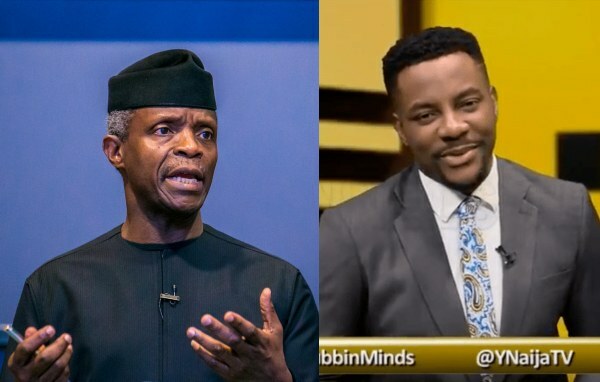 “Sincere apologies that VP Osinbajo cant make ‘Rubbing Minds’ this afternoon on Channels TV. 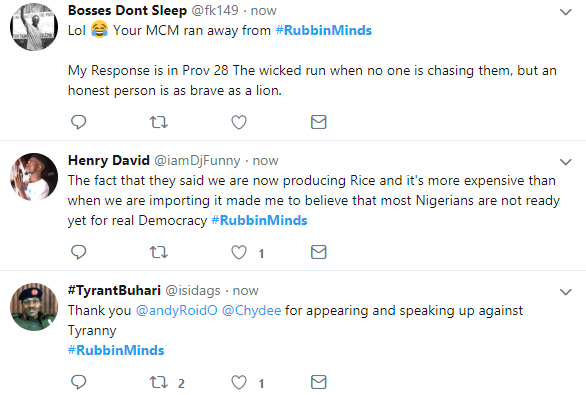 “Being a live programme, the exigencies of campaign timing make it impossible for VP to appear on show as scheduled today. We’re working with producers to reschedule his participation ASAP,” Mr Akande said.